"If music be the food of love, play on!" In this modern-day adaptation of Shakespeare's beloved comedy, the sounds of disco, swing, gospel, Latin and hip-hop music propel an outrageous assortment of characters into each others' arms. A terrible shipwreck strands young Viola on the beaches of Illyria. Desperate to support herself as she searches for Sebastian, her lost twin, she disguises herself as a man named "Cesario." Soon she is working for Duke Orsino, taking his love messages to the Countess Olivia. But the Countess' estate is a tropical madhouse crammed with eccentric characters. In the midst of this craziness Viola's passionate messages of love are unexpectedly successful: the Countess Olivia falls hopelessly in love with him! Her? No, him. (But really her.) And did we mention the bumbling pirates who rescue Sebastian, an extreme makeover performed by the servant girls, and the "exorcism" conducted by the dancing "holy women"? Like the holiday from which it takes its name, this musical is an exuberant feast bursting with hijinks, masquerades, and revelry! Your browser does not support our audio playback. Q: WHAT INSPIRED YOU TO WRITE THIS ADAPTATION? A.: We wanted to have fun creating a musical with all our favorite musical styles-R&B, Calypso, Rap, Gospel, Tango, and Rock-a contemporary blend of pop sounds kids can enjoy instead of a generic, "Broadway" sound. As far as the story, you can't go wrong with a Shakespeare plot. Q.: WHAT'S YOUR FAVORITE PART OR LINE IN THE PLAY? WHY? A.: Our favorite part is the Act I finale, "Like No Man I've Ever Known." It starts bluesy, goes into a Supremes-styled tempo, then tears the roof off the theatre with an upbeat, gospel finish. As for favorite lines, the ones Shakespeare wrote are our favorite. Q.: DO YOU HAVE A FAVORITE CHARACTER? WHO IS IT AND WHY? A.: Our favorite characters are Lady Tamara Belch and Feste. Our most creative fun was to change these male characters from Shakespeare's play into female characters in our musical adaptation. The new Feste and Belch create quite a contrast to each other and add new elements to the show. Q.: WHAT DID YOU TRY TO ACHIEVE WITH THIS ADAPTATION? A.: As performing arts educators, we have become frustrated with the offerings of the Broadway repertoire. There were not enough female leads and there have been increasingly small cast sizes. Our adaptation addresses this by offering more female leads, a large cast size, and a fun show for actors and audiences. Q.: DO YOU HAVE ANYTHING ELSE YOU'D LIKE TO ADD? 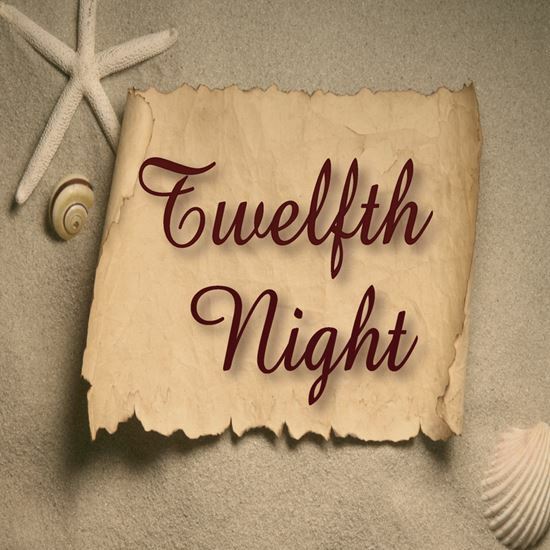 A.: Our goad in adapting "Twelfth Night" was to create a show that was entertaining for audiences and exciting for the performers. An added bonus is that the show is also educational as it introduces people to one of Shakespeare's classic comedies.